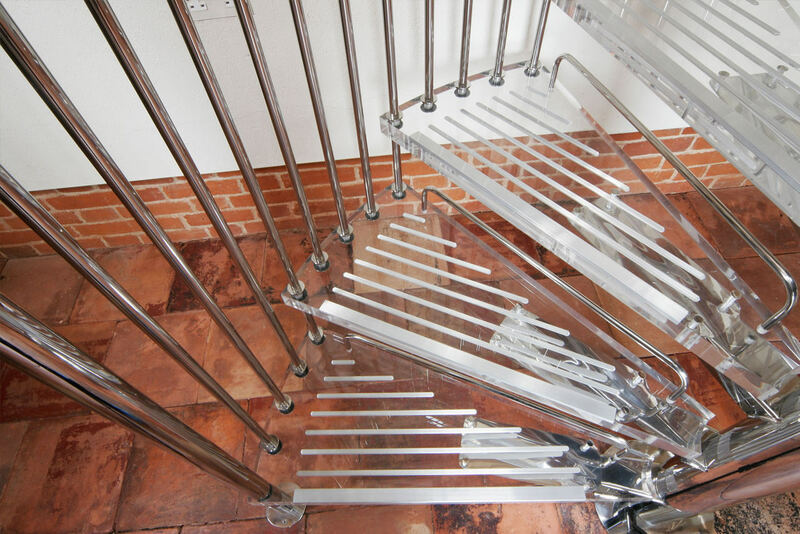 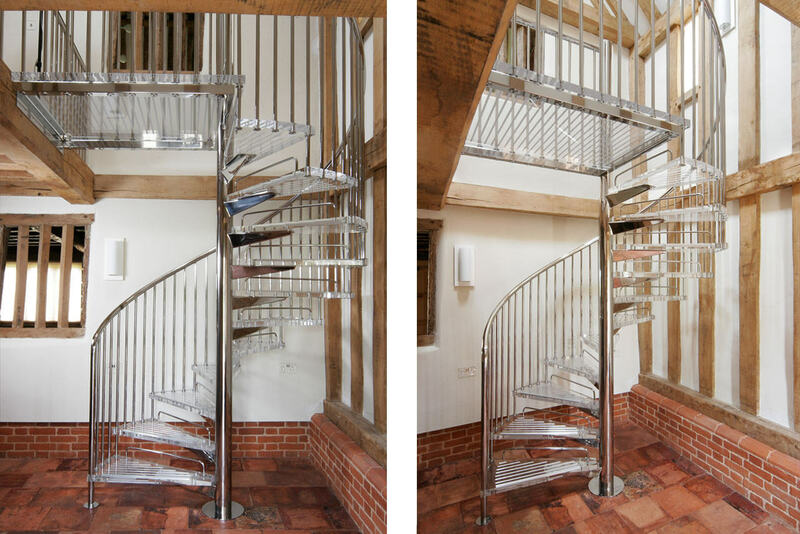 Stainless steel and acrylic staircase giving a striking modern contrast to this 17th century farm house. 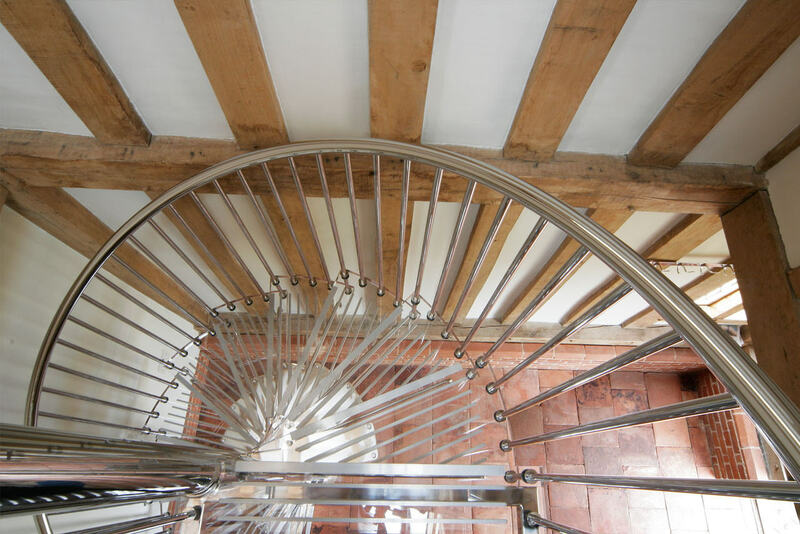 The owner and contractor showed bold foresight in utilising completely modern fixtures and fittings in this period restoration. 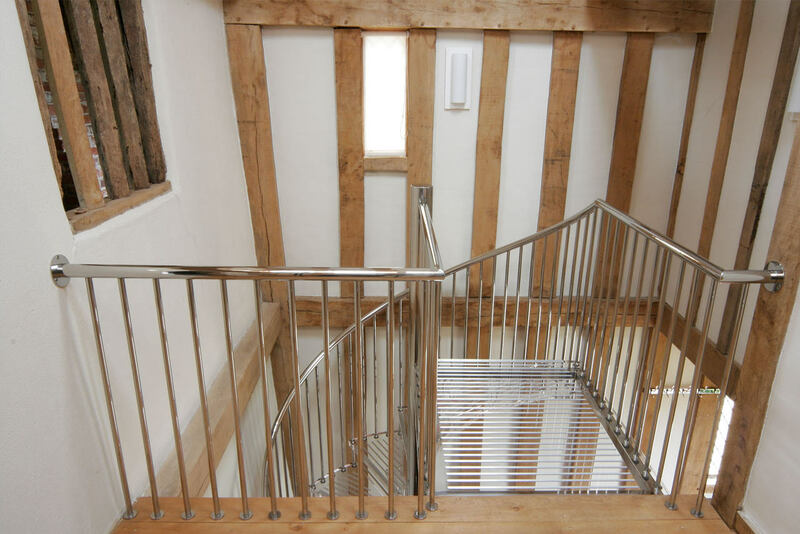 One of our Delta type stairs was also installed from the 1st floor to attic space.